Apsychiatric medicationis a licensed psychoactivedrugtaken to exert an effect on the chemical makeup of the brain and nervous system. Thus, thesemedicationsare used to treat mental illnesses. 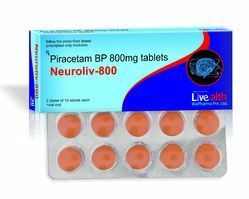 Description:Neuroliv-800 MG Tablet is a medicine that belongs to the category of cognitive enhancers. It improves the flow of blood and oxygen to the brain which helps in the improvement of awareness and memory. 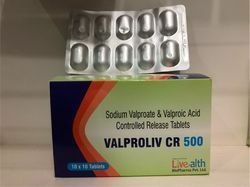 Manufacturer Livealth Biopharma Pvt. 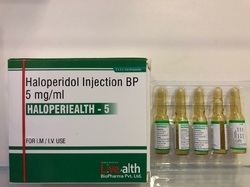 Ltd.
Packaging Details: 2 x 5 x 1 ml Ampoules in a printed carton with plastic tray. 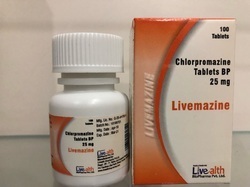 Chlorpromazine is used to treat certain mental or emotional conditions. It is also used to control hiccups, reduce anxiety and treat nausea and vomiting. HOW TO USE: This medication can be given as an injection into a vein (intravenously) after dilution or into a muscle (intramuscularly). Packaging Details: 10 Ampoule of 2 ml in a printed carton. 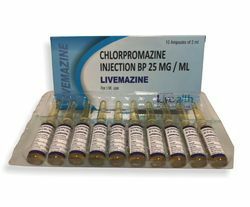 Chlorpromazine may be used as an adjunct in the short-term management of these conditions. ... 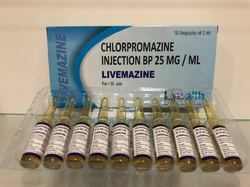 Dosage of chlorpromazine in schizophrenia, other psychoses, anxiety and agitation etc. Adult: Initially 25 mg t.d.s. or 75 mg at bedtime increasing by daily amounts of 25 mg to an effective maintenance dose. 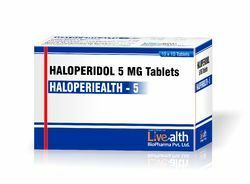 We are offering Haloperidol Tablet. 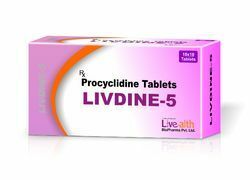 Procyclidine 5 mg Tablets are part of a group of drugs known as anti-cholinergics. These drugs block the action of a particular chemical called acetylcholine, which allows nerve impulses to be sent.